Even though 4G has launched in Lebanon back in May, Lebanon must get a stamp of approval from Apple in order for users to be able to use 4G on their iPhone 5. With very few phones available in the market able to use 4G, the need to get the iPhone on board seems like a pressing matter to get the service to truly take off with customers. For instance, the Galaxy S4 doesn’t support 4G even though it was released recently. Several months after the launch of 4G, where is Lebanon from getting its networks approved by Apple? As for Apple, and in order for the 4G LTE service to run on their devices, they have to certify you as a mobile operator and acknowledge Lebanon as a mobile market on their map. We had been in contact with them for that purpose and even the Ministry of Telecom did contact them, but they were very slow to reply to us. We have recently signed an NDA with them which should enable the ball to start rolling. Until only few weeks ago, they didn’t see Lebanon as a serious market and they tell us “you don’t exist on our map”. How better would life be if some Lebanese can grasp the concept that Apple introduced regarding our telecom market and extrapolate it, rightfully so, over the many other facets in our country? Maybe then we’d be able to get out of this constant mess we’re in. 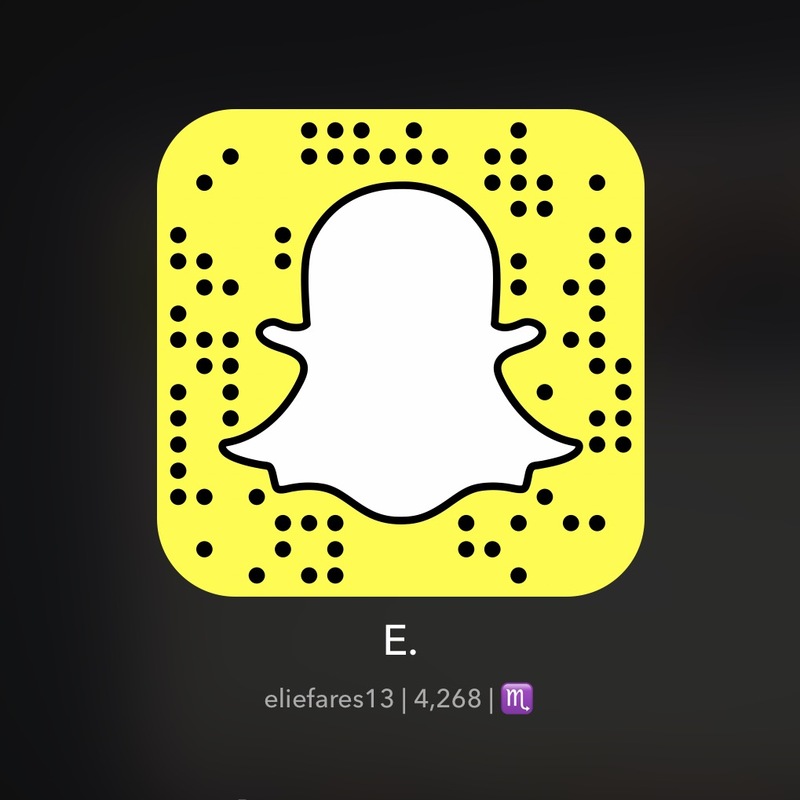 This entry was posted in Lebanon, Technology and tagged 4G, Alfa, Apple, Cloud961, iPhone. Bookmark the permalink. In all honesty, good riddance! 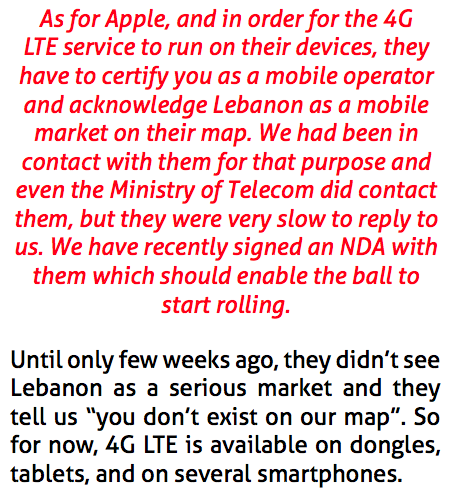 Let them get proper 3g coverage and that’s enough for Lebanon. No need for 4G eye candy. Tell them Steve’s biological father studied in Lebanon.